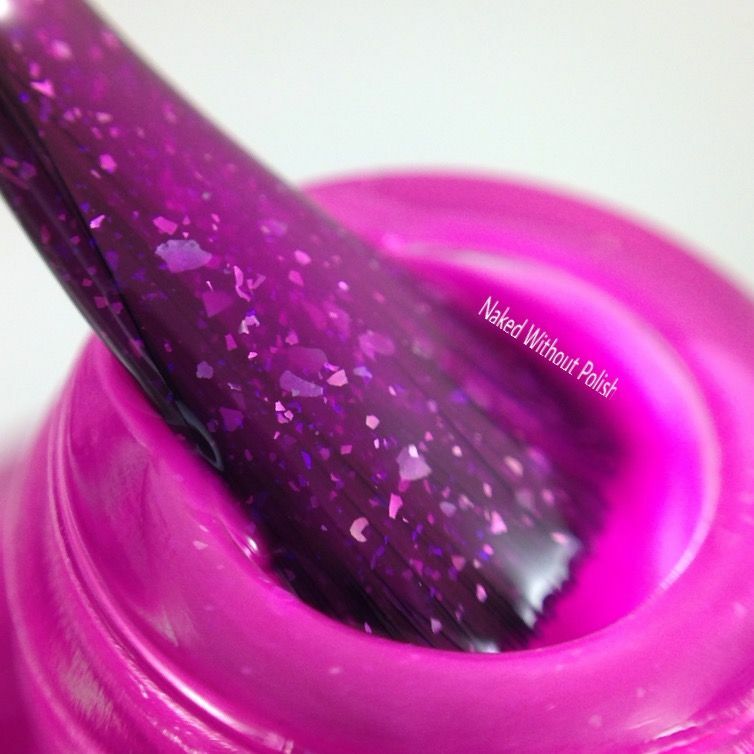 Sarey's Berry is a bright magenta jelly filled with silver flakes. Shown is three coats Sarey's Berry. 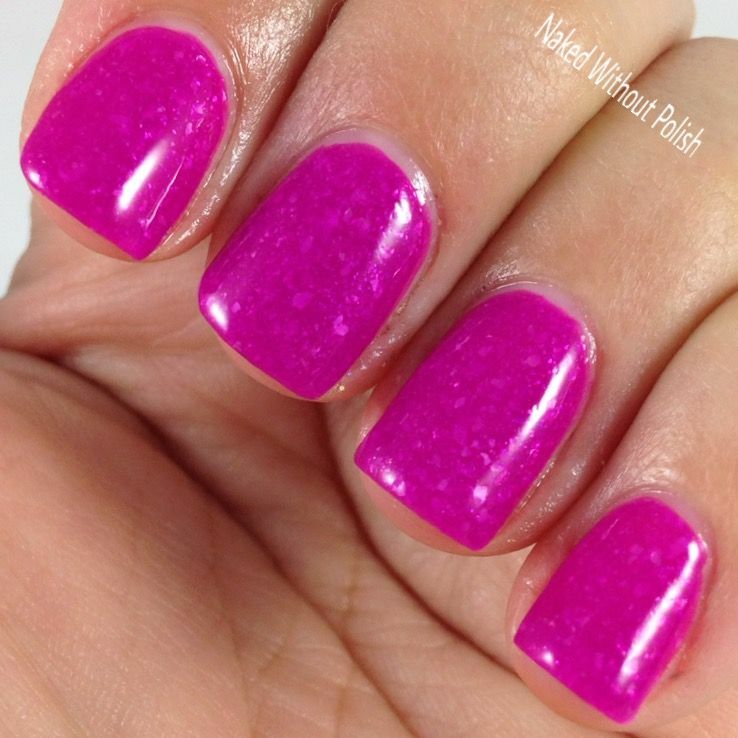 Sarey's Berry is one of those polishes that just makes you smile. The color is vibrant and full of life, and there is so much depth from the flakes. If you come across this, don't think twice, snag it up! 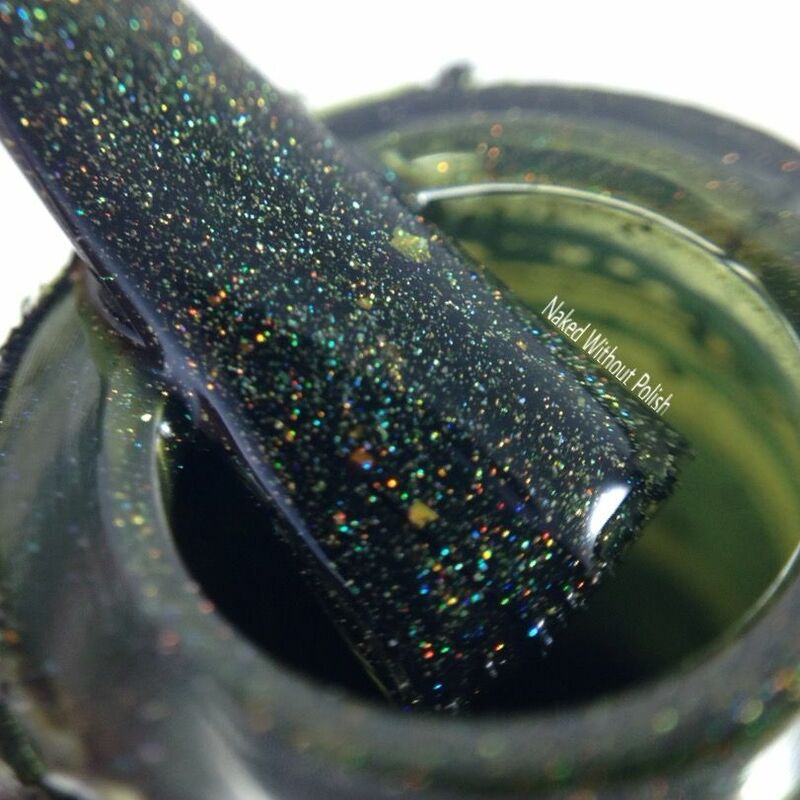 Little Baobabs is a blackened pine green jelly with linear holo, gold shimmer, and gold flakes. 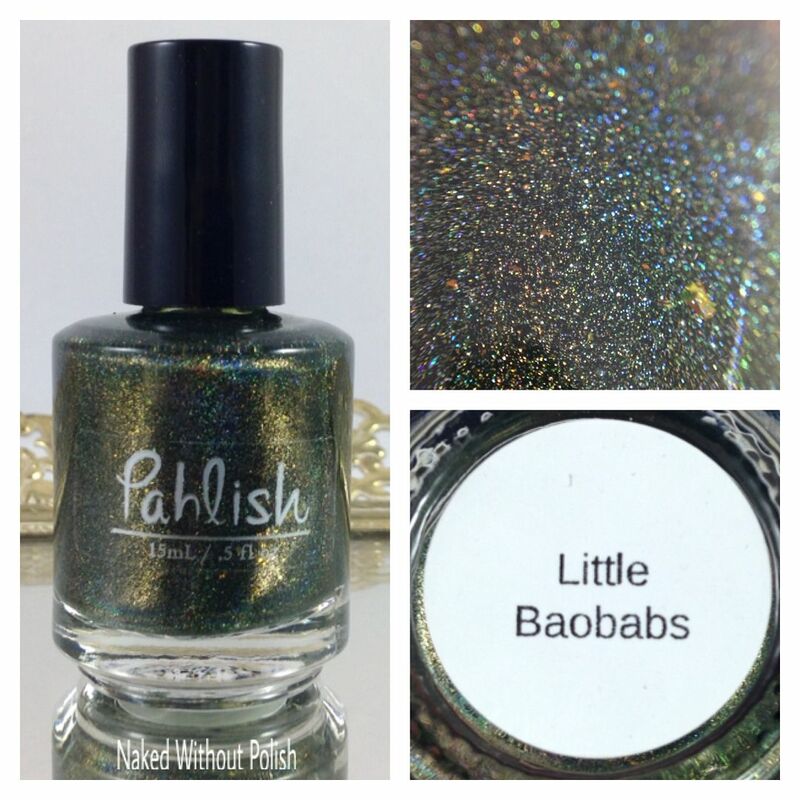 Shown is three coats of Little Baobabs. Little Baobabs is such an incredible shade of green. I was immediately smitten. 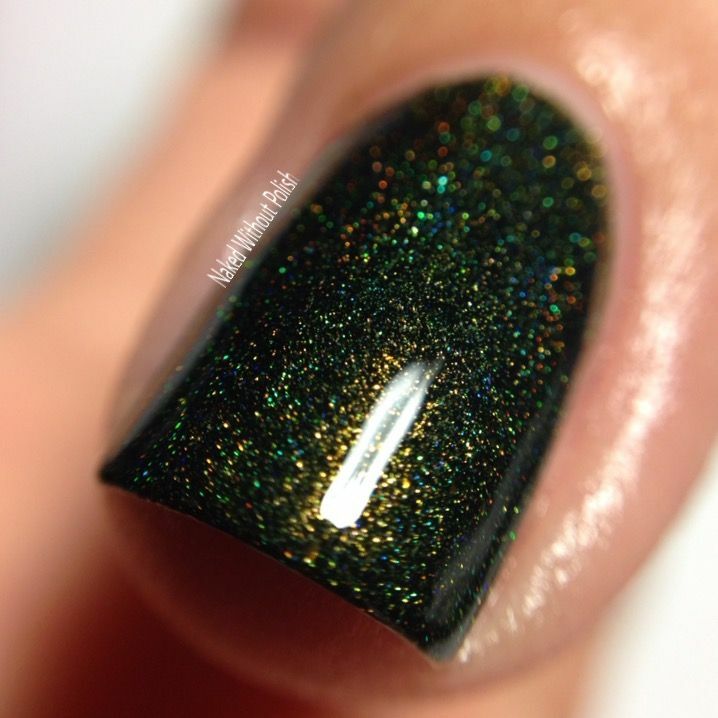 Such a unique polish. These were so beautiful! 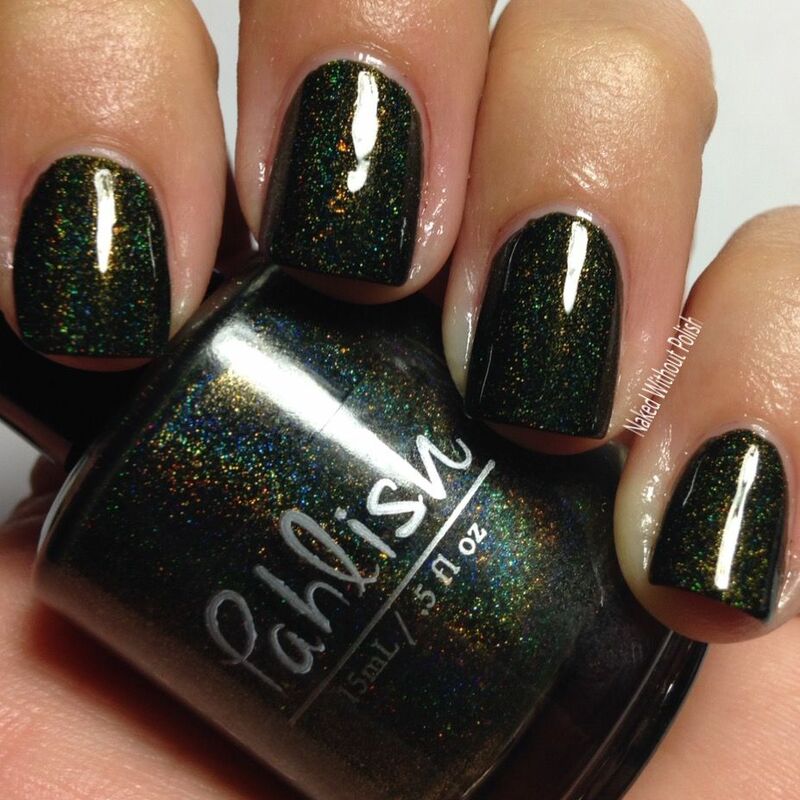 I definitely need more Palish in my life! She makes an incredible product. The only issue I had with these was with Little Baobabs. It wasn't the swatch, it was the mani I did after. I did my normal base coat routine (1 coat of NailMedic CC Cream, 2 coats of OPI Nail Envy, and 1 coat of Superchic Lacquer Bring It On! base coat). In the mani, I put Little Baobabs on my four fingers and Polish M Autumn's Palette on my thumb. Something was off, so I added a coat of Autumn's Palette over Little Baobabs on my ring finger. 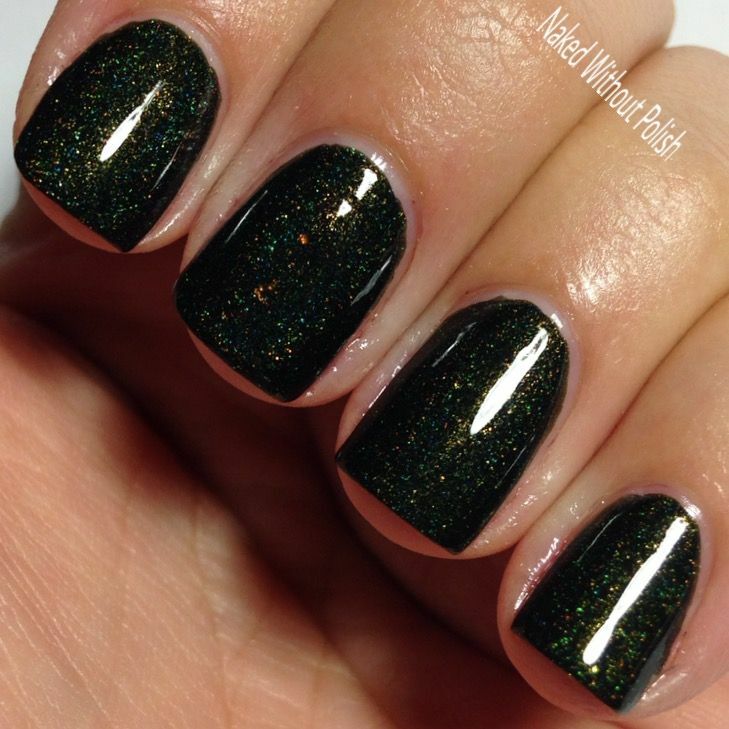 Oh man, was this mani a stunner! The colors went together perfectly! Well, a few days later, I took it off. This was over a month ago. My 4 fingers are still stained green. It doesn't bother me. I always have nail polish on, and luckily I haven't had any sheer polishes to swatch. It will not stop me from wearing this polish again. In fact, you couldn't pry the bottle from my cold, dead, fingers. Little Baobabs is gorgeous and no amount of staining could turn me away from it. Do you have any from Palish? These weren't my first, and they won't be my last. What do you think of these?